As a video file format, MOV file is a common multimedia container file format developed by Apple and compatible with both Mac OS and Windows platforms. MOV files may contain video, audio, time code, and text tracks, which can be used to store and synchronize different types of media. Each media track may be encoded using one of several different codecs. MOV file is often used for saving movies and other video files. MOV and MP4 files are similar and can both be played by QuickTime. However, MP4 files are recognized as an international standard and are more widely supported than MOV files. In order to play a MOV file, an application must be able to recognize the specific codec(s) used in the file. You can also burn a MOV file to a DVD or Blu-ray, and today we will talk about how to burn a MOV file to Blu-ray. In order to burn your MOV video to a Blu-ray, there are some preparations you need to do. That include both hardware and software. Most of the hardware you can buy from Amazon or local stores, and the software on the other hand, can be downloaded from online. In another word, none of the preparations are hard to get, and you can get yourself well prepared within a day. Now, let’s see what you need in order to burn a MOV to a Blu-ray disc. To burn MOV to Blu-ray, the most basic thing that you need to prepare is one or more Blu-ray discs. You can buy blank Blu-ray discs from Amazon very easily. There are two things that you need to pay attention here. The first one is that you have to make sure what you buy is actually Blu-ray discs, not regular DVD discs. The differences between Blu-ray discs and DVD discs are huge. Blu-ray discs have better capacity thus can hold more data than DVD discs, so you can burn your MOV video in a higher quality. If you buy a DVD disc, you may not be able to burn MOV videos in high quality to it, and you may have to compress your video first. The second thing you need to worry about is that whether the disc is writable. As you may know, you can not only buy new discs from Amazon, but also wipe old discs to write again. Either way, you need to make sure that the disc is writable. Or else you will encounter writing errors when trying to author the disc. Beside the two parts mentioned above, in the hardware wise, what you also need is a functional computer, but I’m sure you already have that covered. Now let’s move on from the hardware to the software. 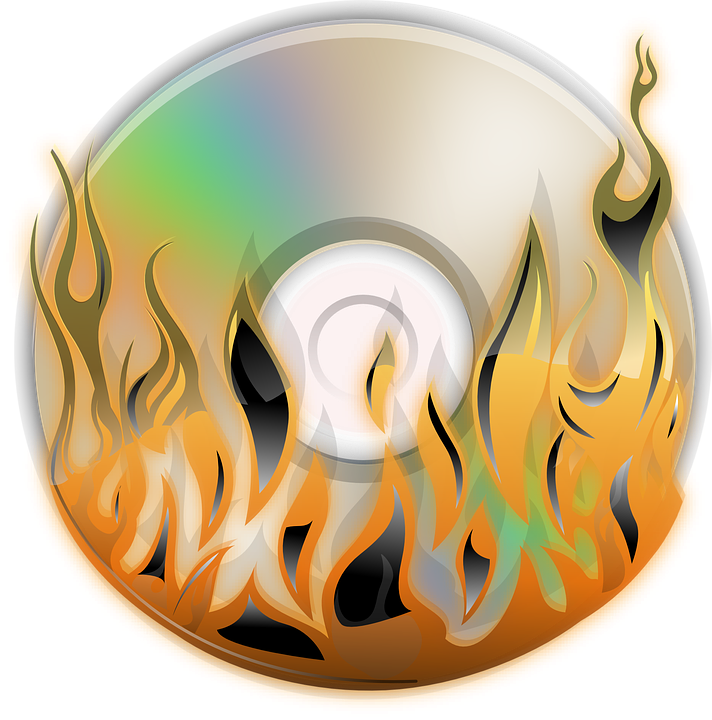 In order to burn a MOV to a Blu-ray disc, you also need a Blu-ray burning program that can deal with MOV video files. There are a lot of Blu-ray burning programs in the market, but the one that I am going to recommend is Leawo Blu-ray Creator. Leawo Blu-ray Creator is a professional Blu-ray burning program that can easily burn all kinds of videos, including MOV, to a Blu-ray disc. The advanced burning technology within the software can allow you burn your video in a highest speed and preserve the original quality at the same time. The program is easy to use, and can deliver a stable performance when burning any video to a Blu-ray disc or ISO files or folder. As you may have already know, in order to burn a MOV file to a Blu-ray disc, the next thing you need to do is to get a Blu-ray drive for your computer to read and write your Blu-ray disc. You don’t need to worry about this if your computer has an internal Blu-ray disc. If not, you are going to need to buy an external one and connect to your computer through USB port. You also need to pay attention here because you have to make sure you get a real Blu-ray drive not a DVD drive, because like the disc, a DVD drive won’t work as it will not be able to read or write a Blu-ray disc. But if you only want to burn MOV to a a digital Blu-ray ISO image file, you can skip this part. You can burn a Blu-ray ISO image file without a Blu-ray drive. 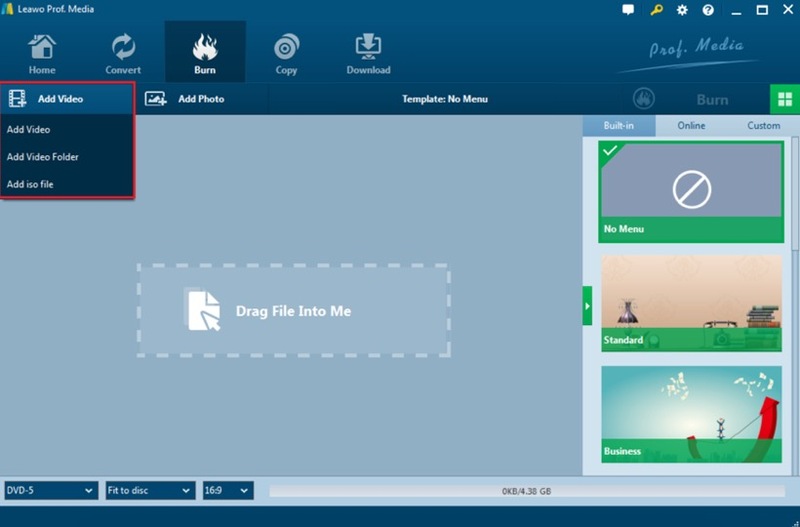 With all of the things prepared, you can start to burn your MOV video to a Blu-ray disc. There are a lot of programs you can use to burn MOV to DVD, and as mentioned above, I will firstly introduce Leawo Blu-ray Creator as the primary DVD burning program as it is fast, stable and easy to use. Here I have prepared a detailed guide on how to burn MOV to Blu-ray using Leawo Blu-ray Creator. Follow the guide and you should be able to burn your MOV to Blu-ray in a very short period of time. Step 1. Download Leawo Blu-ray Creator and run on your computer. Leawo Blu-ray Creator offers both Windows and Mac version, when you are downloading make sure you download the right one. The way how you use both versions is basically the same. Step 2. Insert a Blu-ray disc which has enough capacity for the Blu-ray video that you are about to burn. Step 3. Load the MOV video you would like to burn by clicking “Add Video” at the top of the main screen or directly drag and drop the file into the program. By the way, you can also make a Blu-ray disc menu by selecting your favorite menu templates on the right-hand bar. Step 4. If you want to do some further edits to your video, click the edit button on the video, you can trim, crop, add special effects, add watermarks, or turn 2D video to 3D in the built-in video editor. As mentioned above, you can also create a DVD menu based on the beautiful DVD menu templates after you have done the editing. Step 5. Finally, click the green “Burn” button to call out the burning setting panel, where you can set output format, whether you want to create an ISO file or folder, or you want to burn your video to an optical DVD disc. Then set an output directory. When you have set all of that, click the burn icon below to start burning. How long the burning process will take depends on the speed you have chosen in the third step. You can choose to shut down your PC when it’s finished if you don’t want to wait. Of course, Leawo Blu-ray Creator is not the only program you can use to burn MOV to Blu-ray. If you don’t want to try Leawo Blu-ray Creator, there is another choice for you. Here is how you can burn MOV to Blu-ray using the Leawo Blu-ray Creator alternative, Cyberlink Power2go. Step 1: Download and install Cyberlink Power2go, Insert a blank, recordable DVD disc in the CD/DVD drive, and then launch Cyberlink Power2go. 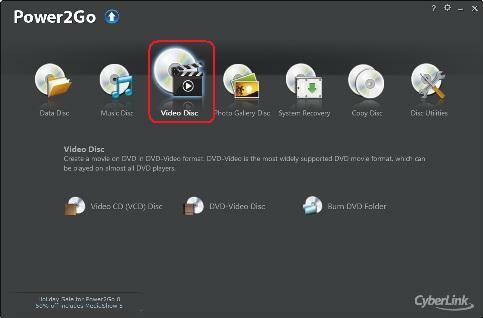 Step 2: Since you need to burn a video disc, you should select “Video Disc” from the main menu. Find the “Video disc” option and click on it. Step 3: Select Burn DVD Folder from the main menu. The Burn DVD Folder window displays. In the From: box, select the Folder to be burned. In the To: box, change the disc name, if desired. Then select the destination drive. You can also set a write speed and numbers of copies here. Step 4: To perform a write simulation before burning the disc, select Perform write simulation. Enable this option to verify that the burner can write to the disc at the selected speed without error. If a disc has previously been recorded using the selected configuration, a simulation does not need to be run. Finally, click “Burn” to start burning. From the guide above, it seems like both Leawo Blu-ray Creator and Cyberlink Power2go can successfully burn a MOV file to Blu-ray. However, there are still many differences between the two programs. 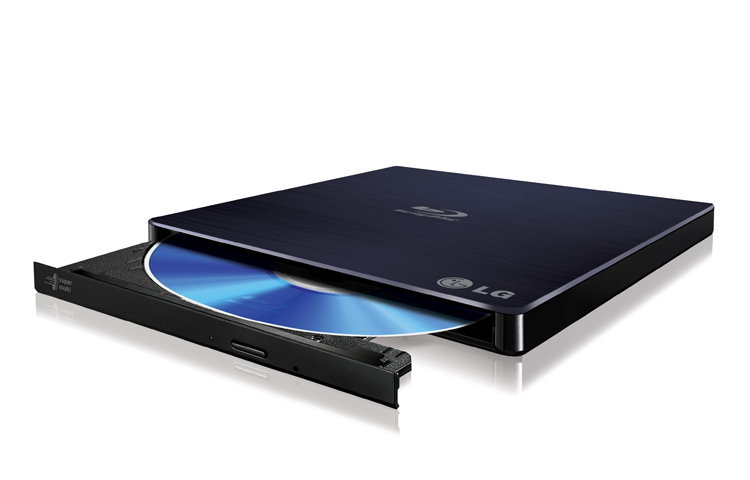 Here are some of the main specs Leawo Blu-ray Creator and Cyberlink Power2go. You can choose a program based on your own preferences when you want to burn a MOV to Blu-ray.